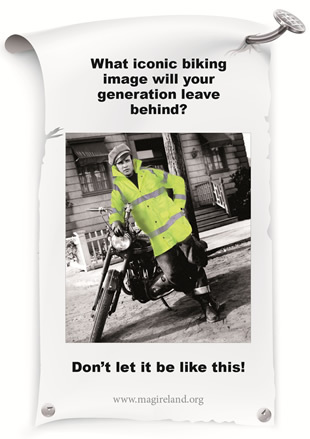 MAG Ireland recently launched a series of posters intended to raise awareness amongst riders about the potential consequences of Mandatory High Visibility Clothing (MHV) as proposed by the RSA in the National Motorcycle Safety Action Plan. Each poster features an iconic biking image superimposed with the RSA’s idea of biker safety. Here we explain the motivation behind the posters. The first poster features an image of screen icon Audrey Hepburn in a still from the 1953 film Roman Holiday. The film’s plot revolves around an aristocratic princess (Hepburn) who escapes her overbearing minders to explore Rome for herself. The use of the scooter neatly captured the mood of freedom that riding brings, and the original image conveyed that sense of freedom & excitement to every cinema audience who saw it. The RSA doesn’t think you should be allowed to choose what to wear on your motorcycle, so here is our impression of how they’d have made that image look. 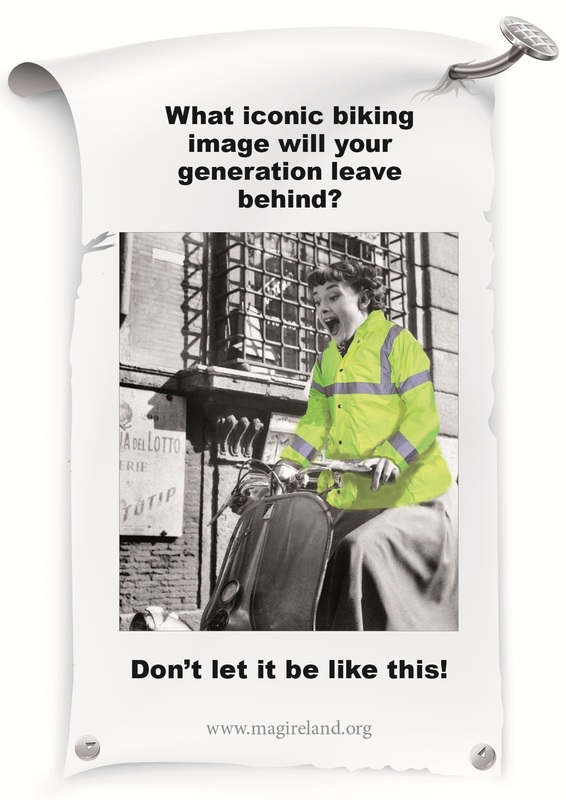 Our second poster features another biking icon. A true biker, a man who raced both motorcycles and cars, a man who performed many of his own stunts, a collector of classic motorcycles, and the undisputed king of cool, Mr. Steve McQueen. 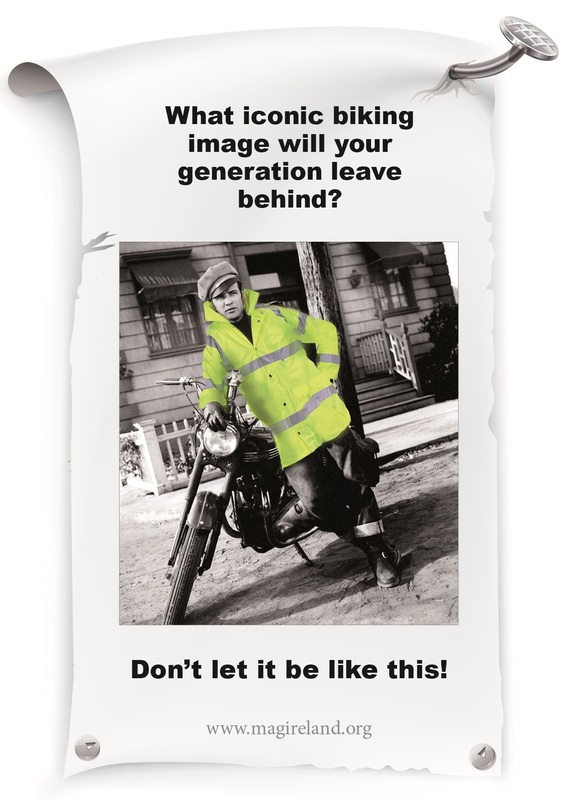 We think he’s not the sort of fella who’d have taken kindly to being told he had to wear a high visibility jacket on his bike. Here then, is how we think The Great Escape would have looked if the RSA had it’s way. 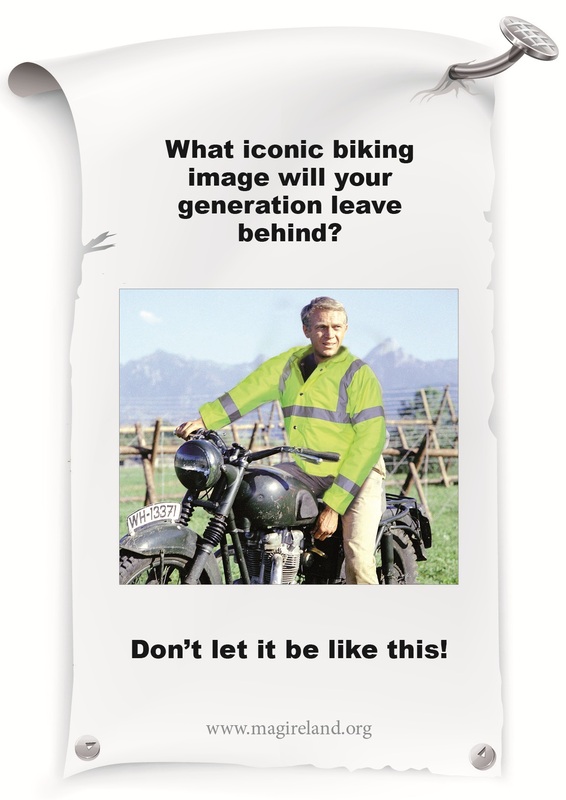 Our third and final poster features one of the most recognisable motorcycle images of all time. It is of course the legendary Marlon Brando posing with his Triumph in that iconic shot from The Wild One. While fair to say that the film itself did little to help the cause of motorcycling in general, there is no doubt that this image is one of the most recognised “biker” images of all time. Here we’ve given it the RSA treatment. We can’t help but wonder what “Johnny” would have thought of that! What each of these images have in common is that they convey something about the sheer freedom and joy of riding a bike. Each one represents a character who made their own choices, but more importantly they also represent three unique individuals who, in real life, also made their own choices and frequently against the odds. 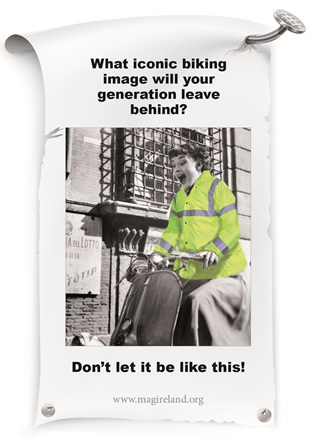 Each image represents something about why we ride a bike, and by poisoning them with RSA approved day glow we hope they bring home the message that compulsion is wrong. Compulsion is unnecessary. Compulsion is repugnant to us as riders. We choose to ride a bike for reasons that the RSA mandarins cannot understand. Our message to them is a simple one.